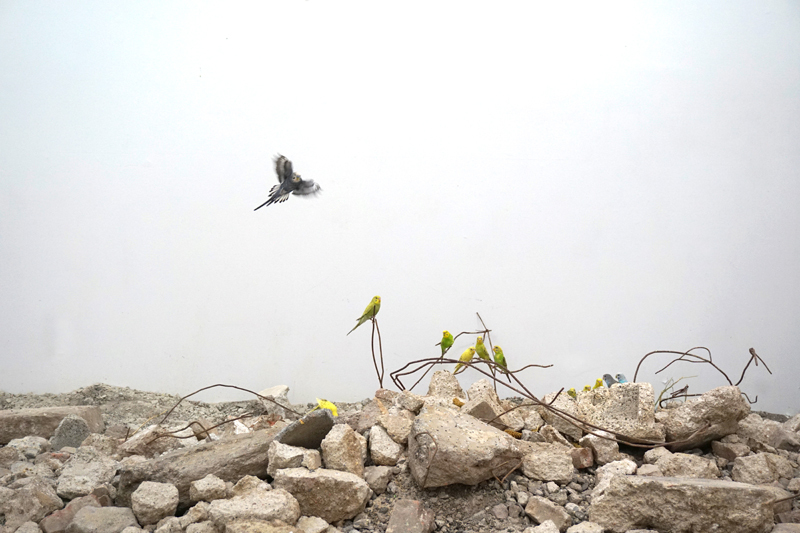 in july 2015 I shipped debris from the syrian border to use as bird litter. 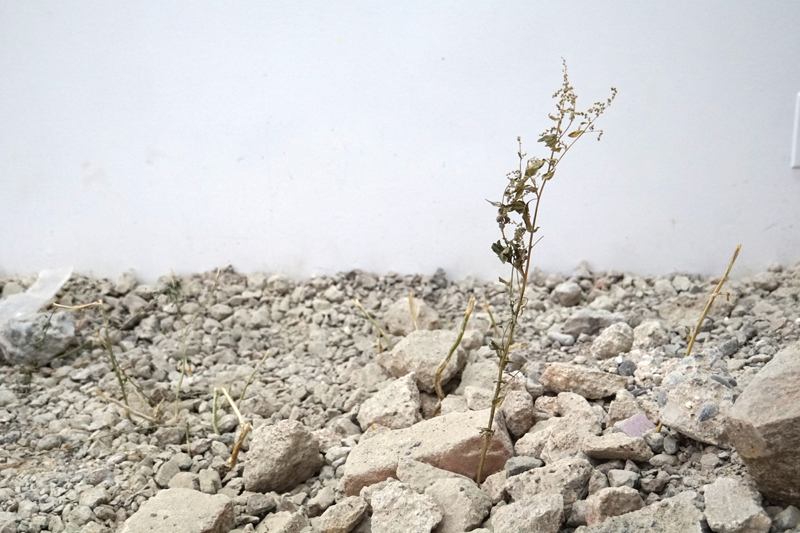 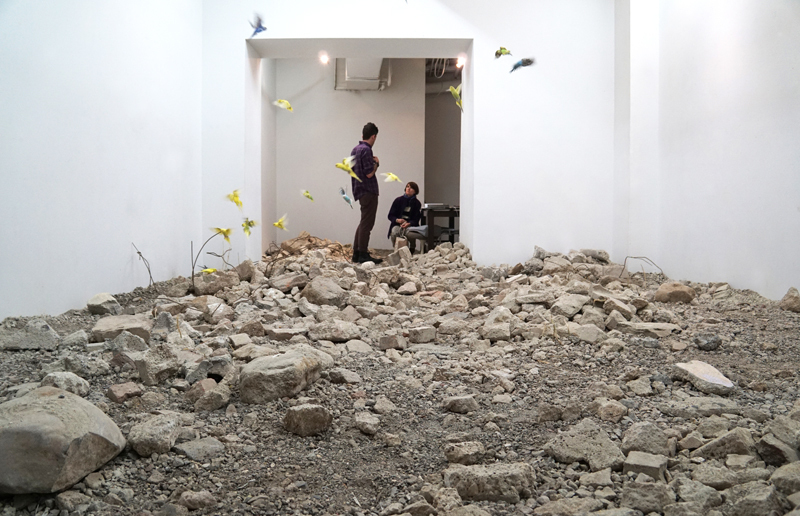 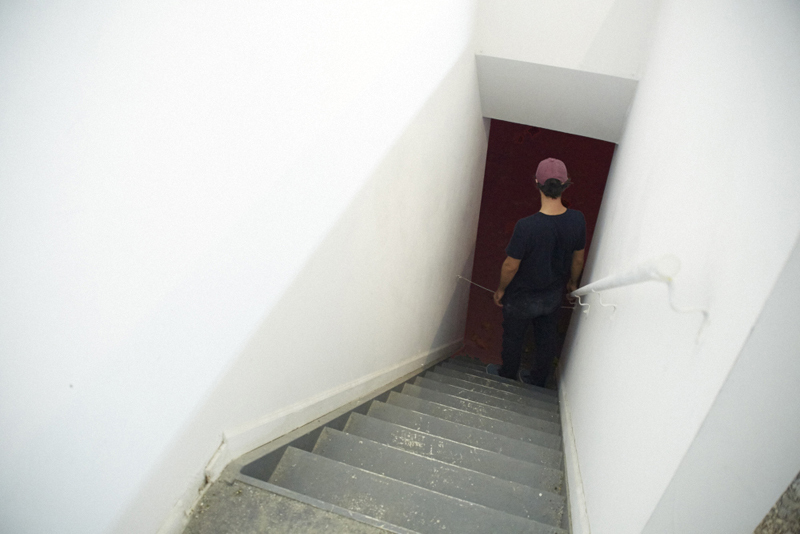 In this two-level installation, the artist transformed the first floor exhibition space into a desolate landscape filled with crumbling masonry and sand, a scene resembling any number of conflict zones we are accustomed to viewing on the nightly news. 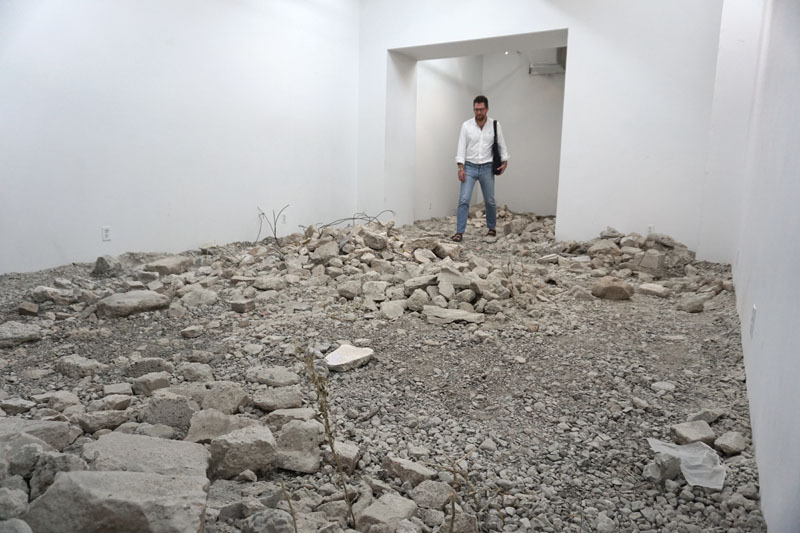 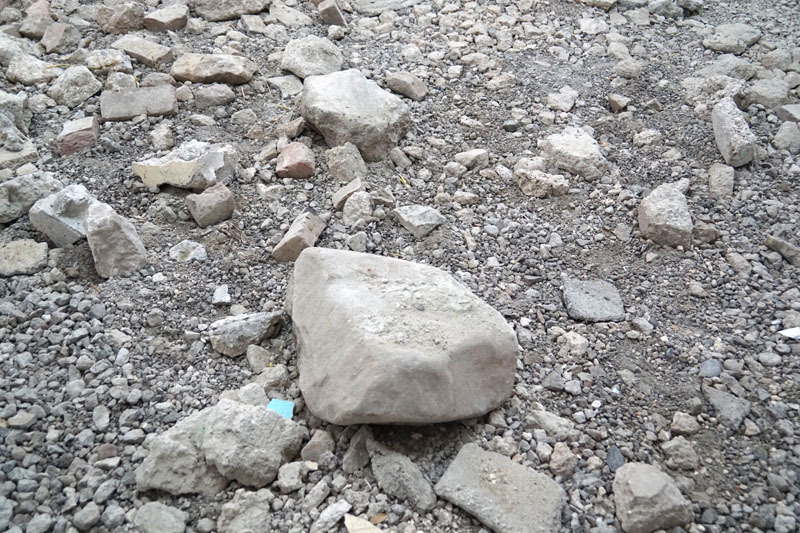 Most of this debris was carried in suitcases from the border between Syria and Turkey; the remainder from a nearby construction site in New York. 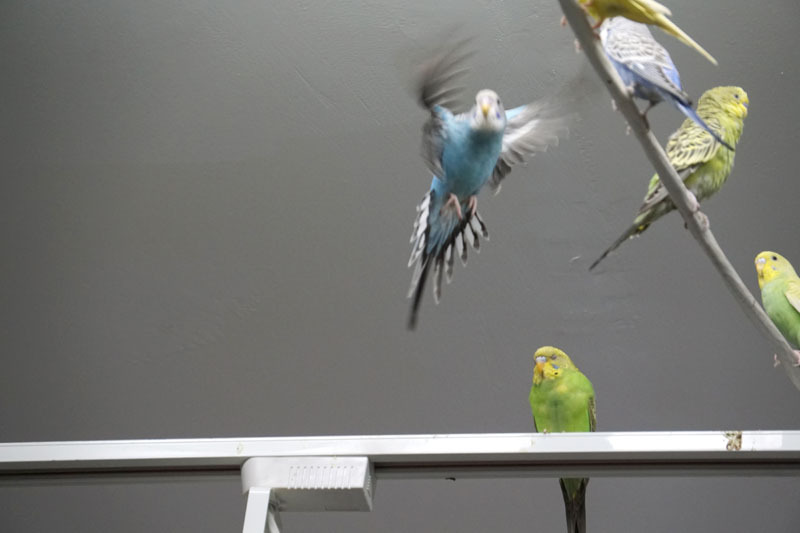 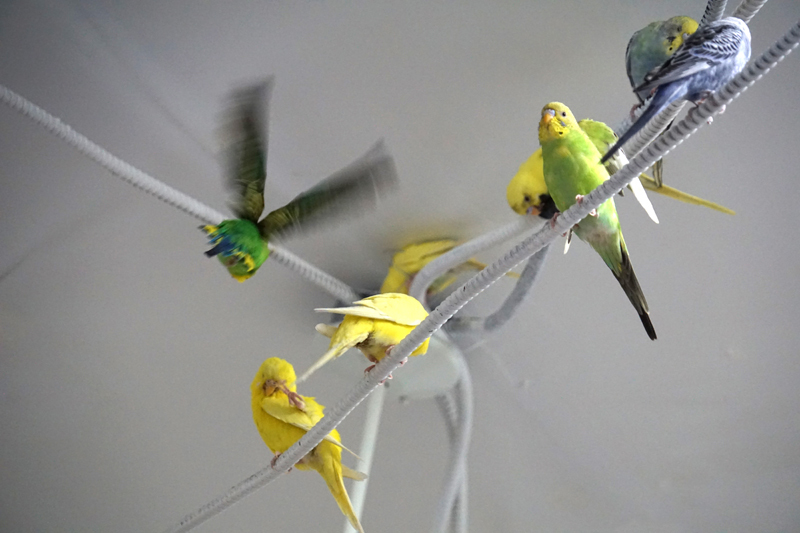 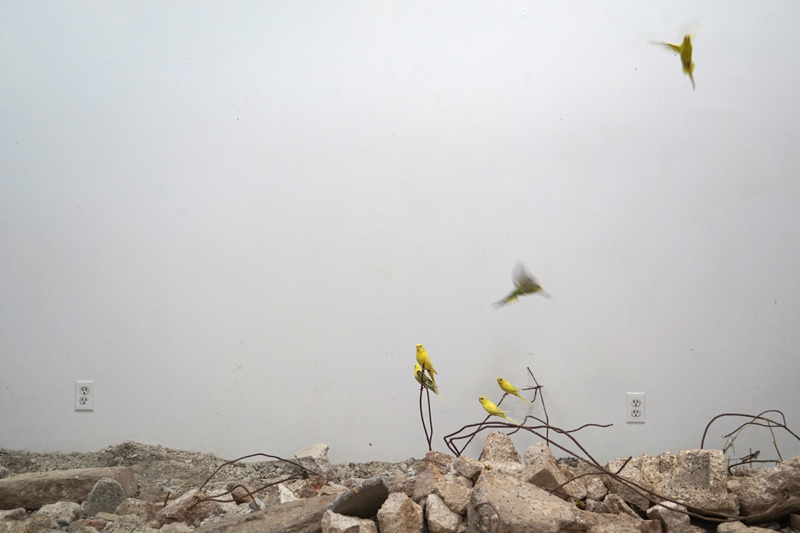 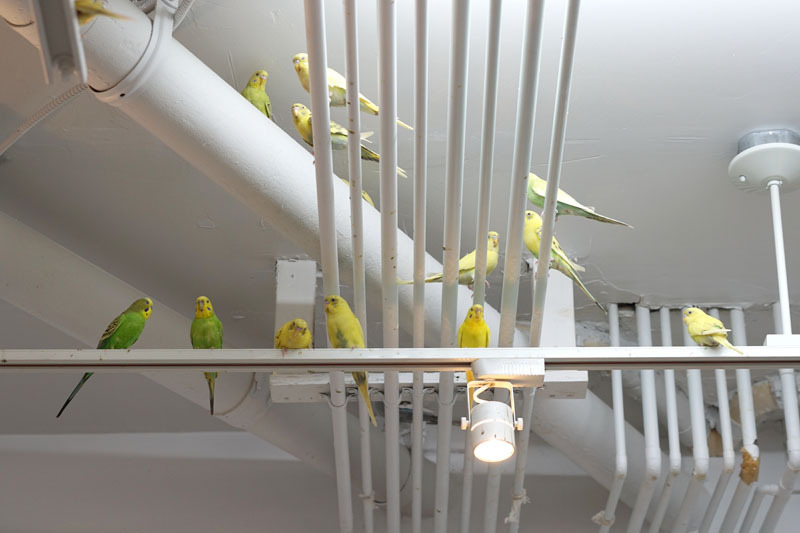 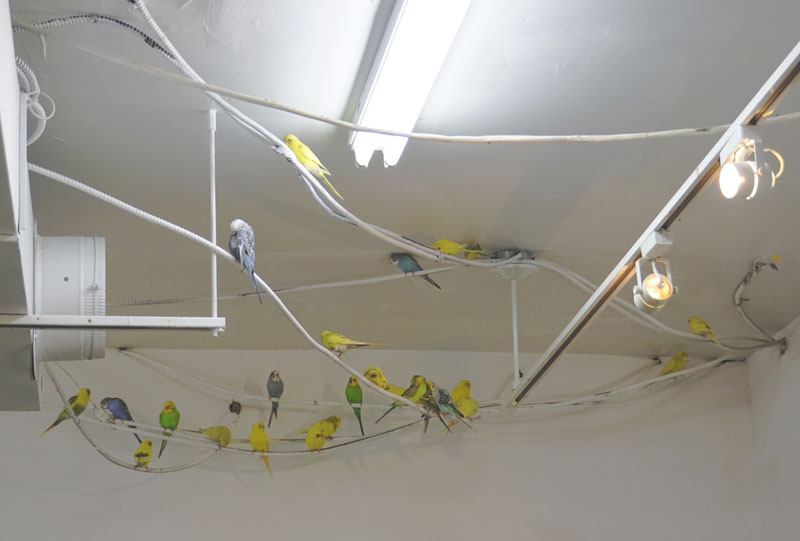 Yet here it formed part of a new ecosystem, in which a flock of colorful parakeets, rescued from a shelter, flitted between rubble and rebar to the pipes and ducts of the gallery ceiling. 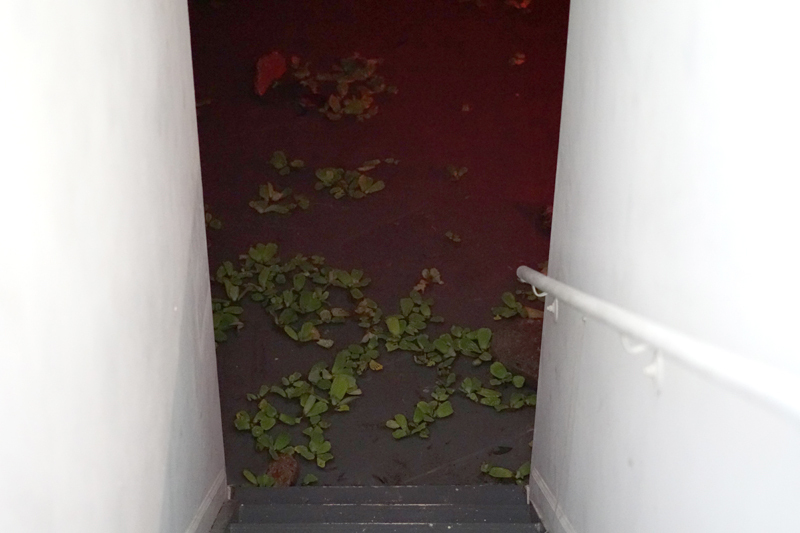 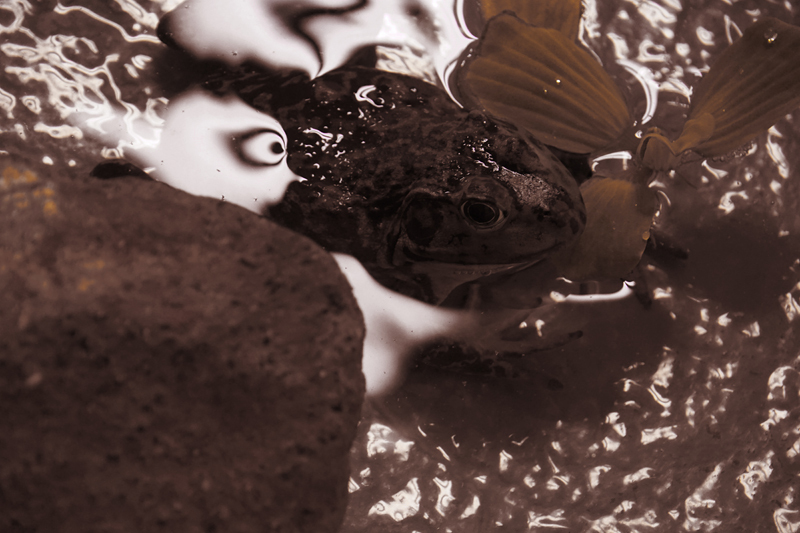 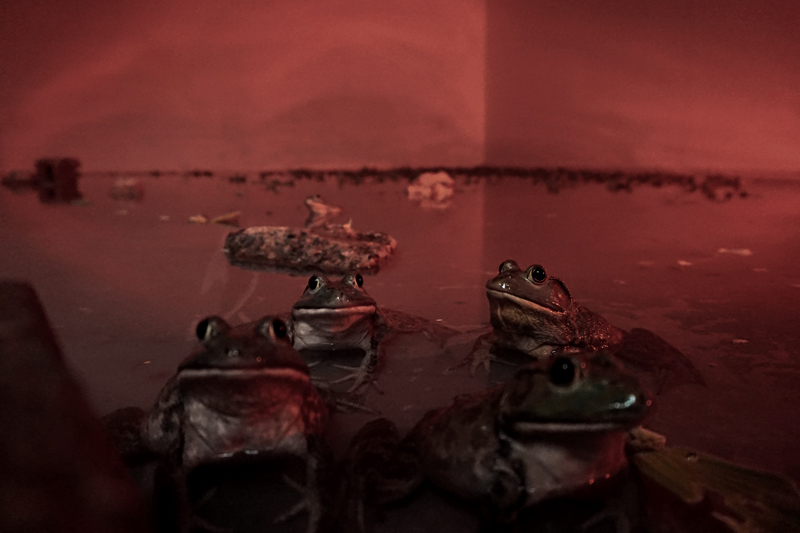 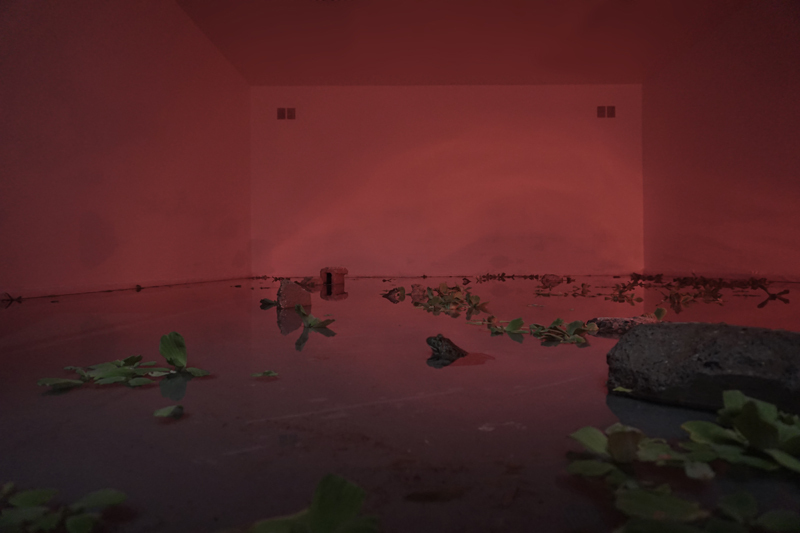 Picking their way over the uneven terrain, viewers descended to the gallery’s lower level, transformed into a dark, subterranean marsh: here bullfrogs, saved from their fate as Chinatown food, hunkered amid lilypads, enveloped in an ambient drone.